Match ends, Wigan Athletic 0, Accrington Stanley 4. Second Half ends, Wigan Athletic 0, Accrington Stanley 4. Victor Maffeo (Wigan Athletic) wins a free kick in the defensive half. Foul by Tyler Hornby-Forbes (Accrington Stanley). Attempt missed. Luke Burgess (Wigan Athletic) right footed shot from the centre of the box is close, but misses to the left. Goal! Wigan Athletic 0, Accrington Stanley 4. Mekhi Leacock-McLeod (Accrington Stanley) left footed shot from a difficult angle on the left to the bottom left corner. Substitution, Accrington Stanley. Jordan Clark replaces Erico Sousa. Attempt missed. 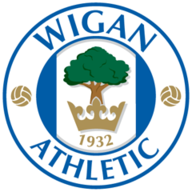 Luke Burgess (Wigan Athletic) left footed shot from outside the box misses to the left. Attempt missed. Mekhi Leacock-McLeod (Accrington Stanley) right footed shot from outside the box is close, but misses to the right. (Wigan Athletic) wins a free kick in the defensive half. Substitution, Wigan Athletic. Mitchell Culshaw replaces Mwiya Malumo. Foul by Reagan Ogle (Accrington Stanley). Luke Burgess (Wigan Athletic) wins a free kick in the defensive half. Attempt blocked. Liam Nolan (Accrington Stanley) right footed shot from outside the box is blocked. Foul by Mwiya Malumo (Wigan Athletic). Luke Burgess (Wigan Athletic) wins a free kick on the right wing. Attempt missed. Terell Thomas (Wigan Athletic) left footed shot from outside the box is high and wide to the left. Tyler Hornby-Forbes (Accrington Stanley) wins a free kick in the attacking half. Foul by Victor Maffeo (Wigan Athletic). Foul by Mekhi Leacock-McLeod (Accrington Stanley). Jensen Weir (Wigan Athletic) wins a free kick in the attacking half. Attempt missed. Scott Brown (Accrington Stanley) right footed shot from the centre of the box misses to the left. Attempt missed. James Barrigan (Wigan Athletic) right footed shot from outside the box is close, but misses to the right. Corner, Accrington Stanley. Conceded by Tylor Golden. Substitution, Wigan Athletic. Jensen Weir replaces Will McGuffie. Attempt blocked. Erico Sousa (Accrington Stanley) right footed shot from outside the box is blocked. Chris Merrie (Wigan Athletic) wins a free kick in the defensive half. Foul by Erico Sousa (Accrington Stanley). Anthony Plant (Wigan Athletic) wins a free kick on the right wing. Mallik Wilks (Accrington Stanley) is shown the yellow card. Will McGuffie (Wigan Athletic) is shown the yellow card for a bad foul. Scott Brown (Accrington Stanley) wins a free kick in the defensive half. Foul by Will McGuffie (Wigan Athletic). Liam Nolan (Accrington Stanley) wins a free kick in the defensive half. Corner, Wigan Athletic. Conceded by Reagan Ogle. Anthony Plant (Wigan Athletic) wins a free kick in the defensive half. Substitution, Wigan Athletic. Victor Maffeo replaces Divin Baningime. Goal! Wigan Athletic 0, Accrington Stanley 3. Erico Sousa (Accrington Stanley) right footed shot from the centre of the box to the bottom left corner. Attempt saved. Jonathan Edwards (Accrington Stanley) right footed shot from outside the box is saved in the top centre of the goal. Mallik Wilks (Accrington Stanley) wins a free kick on the left wing. Foul by Terell Thomas (Wigan Athletic). Attempt blocked. Mallik Wilks (Accrington Stanley) left footed shot from the left side of the box is blocked. Foul by Chris Merrie (Wigan Athletic). Liam Nolan (Accrington Stanley) wins a free kick on the right wing. Foul by Luke Burgess (Wigan Athletic). Second Half begins Wigan Athletic 0, Accrington Stanley 2. First Half ends, Wigan Athletic 0, Accrington Stanley 2. Erico Sousa (Accrington Stanley) wins a free kick in the defensive half. Foul by Anthony Plant (Wigan Athletic). Attempt blocked. Mekhi Leacock-McLeod (Accrington Stanley) right footed shot from outside the box is blocked. Attempt missed. Tyler Hornby-Forbes (Accrington Stanley) left footed shot from outside the box is too high. Attempt missed. Tylor Golden (Wigan Athletic) right footed shot from the centre of the box misses to the left. Corner, Wigan Athletic. Conceded by Liam Nolan. Attempt blocked. Divin Baningime (Wigan Athletic) right footed shot from the centre of the box is blocked. Foul by Jonathan Edwards (Accrington Stanley). Corner, Accrington Stanley. Conceded by Will McGuffie. Attempt blocked. Will McGuffie (Wigan Athletic) right footed shot from outside the box is blocked. Attempt missed. Luke Burgess (Wigan Athletic) right footed shot from outside the box misses to the left. Goal! 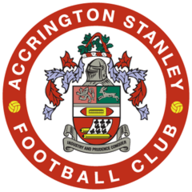 Wigan Athletic 0, Accrington Stanley 2. Erico Sousa (Accrington Stanley) right footed shot from outside the box to the bottom right corner. Corner, Accrington Stanley. Conceded by Anthony Plant. Attempt saved. Mekhi Leacock-McLeod (Accrington Stanley) right footed shot from outside the box is saved in the centre of the goal. Tylor Golden (Wigan Athletic) wins a free kick in the defensive half. Attempt missed. Ben Richards-Everton (Accrington Stanley) header from the centre of the box misses to the right. Tylor Golden (Wigan Athletic) is shown the yellow card for a bad foul. Jonathan Edwards (Accrington Stanley) wins a free kick in the defensive half. Foul by Tylor Golden (Wigan Athletic). Corner, Wigan Athletic. Conceded by Farrend Rawson. Farrend Rawson (Accrington Stanley) wins a free kick on the left wing. Attempt missed. Mallik Wilks (Accrington Stanley) header from the centre of the box is just a bit too high. Erico Sousa (Accrington Stanley) wins a free kick on the left wing. Corner, Accrington Stanley. Conceded by Terell Thomas. Goal! Wigan Athletic 0, Accrington Stanley 1. Jonathan Edwards (Accrington Stanley) right footed shot from the centre of the box to the high centre of the goal. Assisted by Erico Sousa. Attempt saved. Luke Burgess (Wigan Athletic) right footed shot from the centre of the box is saved in the top centre of the goal. Attempt missed. Mallik Wilks (Accrington Stanley) left footed shot from outside the box is close, but misses to the right. Substitution, Accrington Stanley. Reagan Ogle replaces Billy Kee because of an injury. Chris Merrie (Wigan Athletic) wins a free kick on the left wing. James Barrigan (Wigan Athletic) wins a free kick in the attacking half.